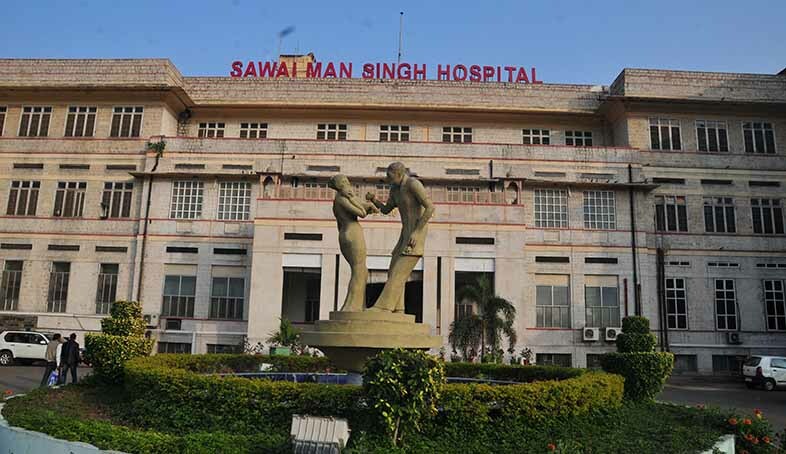 Sawai Man Singh (SMS) Hospital, one of the major hospitals in Jaipur, India, will soon treat oral cancer patients using 3D printing technology. The new medical and research facility will be opened at the SMS Hospital affiliated Sawai Man Singh (SMS) Medical College. Dr. Singhal Pawan, a professor at SMS Department of Otorhinolaryngology (the study of head and neck related anatomy), explained, “We have studied how the new technology [3D printing] will help oral cancer patients after the surgery. During surgery, we remove the part of the mouth having cancer. Due to the removal of that part, we have to reconstruct the face. However, it is always felt that the patient should get the same face during reconstruction surgery”. A front view of the SMS Hospital. According to Cancer Research UK, every year, nearly 11,700 head and neck cancer incidences are reported in the UK. In many cases, the cancer is in the larynx, commonly referred to as the voice box. The rising numbers of cancer patients is a primary concern in the capital of Rajasthan, Jaipur, where the SMS Hospital is located. 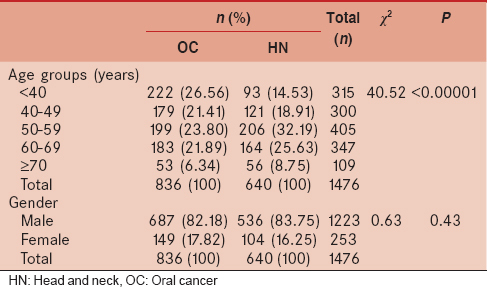 A study titled Prevalence of head and neck and oral cancer in Rajasthan: An infirmary based retrospective study was conducted by the Department of Oncology, SMS Hospital, Jaipur. It states, “The rising prevalence of HN [head and neck] and OC [oral cancer] cases in the Rajasthan state is alarming.” It was reported that out of 1,476 male and female patients in the study group, 56.64% had oral cancer. A new facility at the SMS Hospital dedicated to the treatment of oral cancer using 3D printing could have an effect on these numbers. A table showing the numbers of cancer incidences in the SMS study. In the treatment of oral cancer, part of the face or the whole jawbone may have to be removed to treat the disease. This method makes it necessary to reconstruct the damaged part of the face. For example, a mandibulectomy is a complicated oral surgery which involves removing a part or the whole of the jaw bone of a cancer patient. The jaw is then rebuilt using the fibula, a bone in the lower leg of the human body. 3D printing technology has helped overcome difficulties related to these kinds of surgeries. For example, at the Royal Stoke University, surgeons used a 3D printed jaw model to reconstruct a functional jaw for surgery. Québec Industrial Research Centre uses an Arcam EBM 3D printer to make patient-specific lower jaw implants. In another effort at the University Hospital of Wales (UHW), a maxillofacial surgeon and a restorative dental surgeon worked together to reconstruct the jawbone of a cancer patient. SMS Hospital has been involved in 3D printing since 2016. The surgeons performed a complicated neurosurgery using on a 23-year-old patient, Pradhan Jangid. Using 3D printing, the surgeons developed a model of patients craniovertebral junction (CVJ). The 3D printed model helped the doctors perform the surgery successfully. Furthermore, the same year SMS Hospital doctors had conducted 22 gallbladder surgeries using 3D printing technology to get a 360 degrees view of the patient’s body.